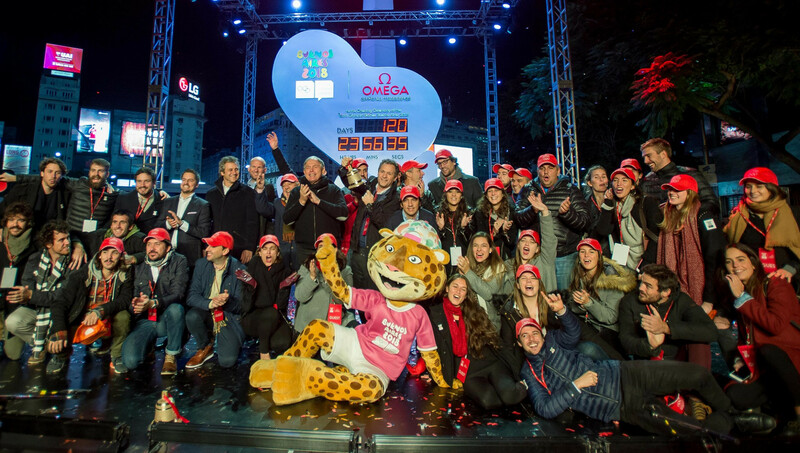 Omega have unveiled a countdown clock for the Buenos Aires 2018 Summer Youth Olympic Games in the Argentine capital. The Swiss watchmaker has been the official timekeeper of the Olympic Games for 86 years with the clock's reveal marking 120 days until the youth event. Positioned near the Obelisk in Buenos Aires, an unveiling ceremony was attended by Organising Committee President Gerardo Werthein, an International Olympic Committee (IOC) member and head of the Argentine Olympic Committee. Felipe Miguel, Chief of Cabinet Ministers for the City of Buenos Aires, and Alain Zobrist, general manager of Omega, were also in attendance among other guests. The clock is six metres high and was inspired by the Floralis Generica, a metal sculpture in Buenos Aires which was also used as a source of inspiration for the Games emblem. After the unveiling, Zobrist gave guests last-lap bells to ring in celebration. 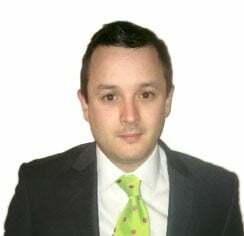 "In 120 days, the world will witness a fantastic sports celebration, which will showcase the power of youth and the Olympic spirit," said Werthein. 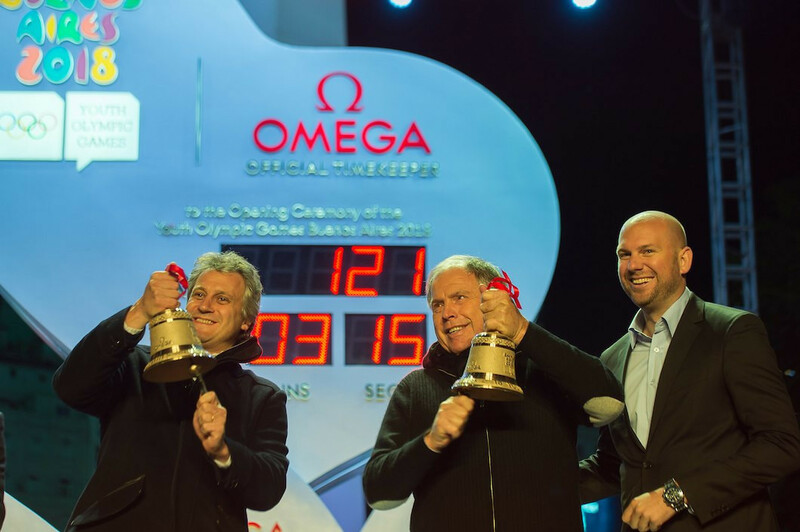 "We are very grateful to Omega, a long-time worldwide Olympic Games partner and an exceptional timekeeper. "We'd like to thank them for supporting us on this journey." Buenos Aires 2018, due to take place between October 6 and 18, will be the 29th time Omega has been in charge of timing at an Olympic Games. 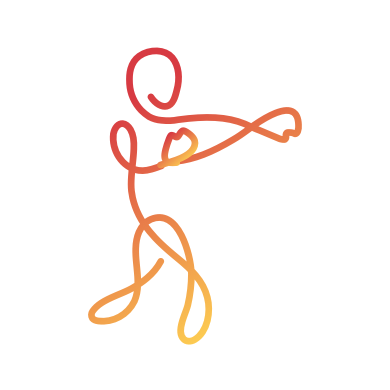 The company is a member of the IOC's top-tier The Olympic Partner sponsorship programme. "In Buenos Aires, we pride ourselves on doing things well, and I can tell you that these young athletes will have a wonderful time here and will feel right at home," said Miguel.